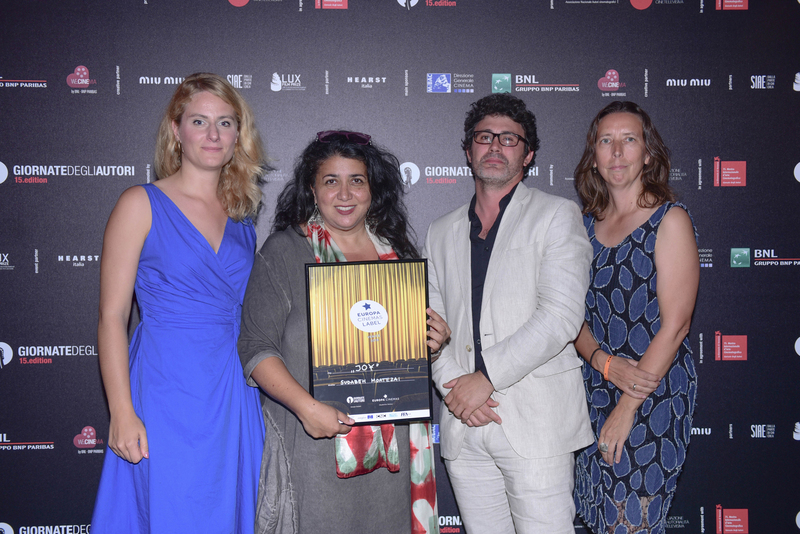 JOY directed by Sudabeh Mortezai, has won the Europa Cinemas Label at the Giornate degli Autori, it was announced by a jury of four exhibitors from the Network. 2018 marks the fifteenth time the Label has been awarded at the Giornate degli Autori. JOY will now receive the support of the Europa Cinemas Network, with additional promotion and incentives for exhibitors to extend the film’s run on screen. Sold internationally by Films Boutique, JOY is a Freibeuter Film, produced with the support of Austrian Film Institute, Vienna Film Fund and ORF Film/Fernseh – Abkommen. The Europa Cinemas Label Jury this year comprised Klara Bogusławska (Kinoteka Multiplex, Varsovie, Pologne), Mathieu Guetta (Majestic Bastille, Paris, France), Ezio Leoni (Il Lux, Padoue, Italie) et Christine Müh (Kommunales Kino, Pforzheim, Allemagne).